Back by popular demand, it is time for the magic of Mickey and a whole lot more! 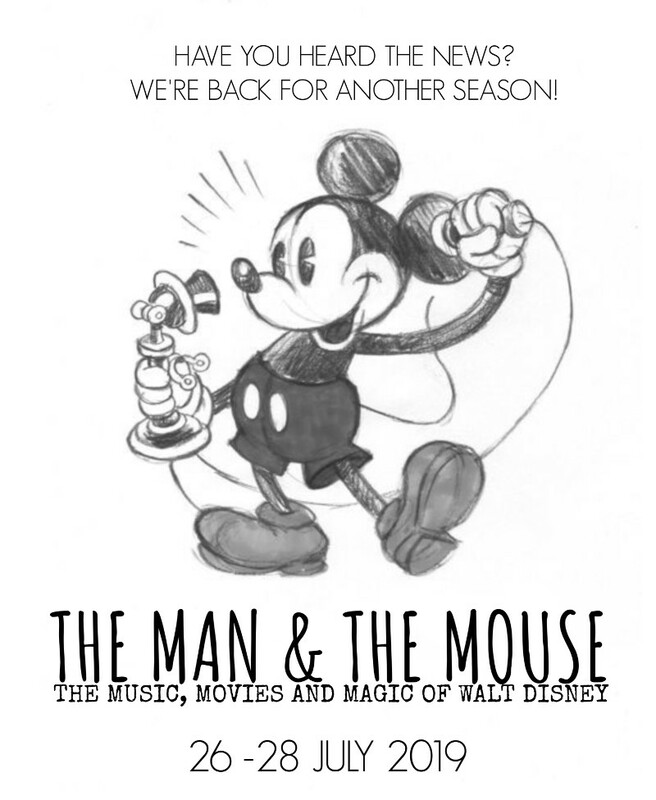 With music and movies which continue to define generations, The Man & The Mouse retells the story of Disney studios and the incredible mind behind it all- Mr Walt Disney. From his early rise to success, his death, the Disney Renaissance and eventual incomparable rise of the Disney empire, the show provides a behind the scenes look at what really happened, guided along by the music which has captured the imagination and hearts of people of all ages, stripped down and re-arranged into an intimate and edgy showcase of classic Disney magic. From the creator of the acclaimed Simply Broadway and My Favourite Things, this unusual little show reimagines music from the likes of Mary Poppins, The Little Mermaid, Pocahontas, Beauty and the Beast, Aladdin, The Lion King, Toy Story, Tangled and Frozen; reviving them; and providing a heartfelt, goosebump inducing, grown-up homage to the incredible creations of Disney. “…It is apparent once again that de Groot is a master of not only storytelling, but also design. He has given this show a unique aesthetic which is clean and crisp, completely contrary to a fairytale, but exceptionally fitting and unique. Because of this, you are immediately aware that this is not the cliché Disney you have come to expect, but instead draws you in more to really listen, perhaps for the first time, to the exquisite music and lyrics of songs you thought you knew” (Tonight, 2015). Prepare for nostalgia at its best! Fresh, inventive, slick and simple- witness Disney like you’ve never seen it before!